Freedom Rockz: Free @ Del Taco Yummo! Free @ Del Taco Yummo! Get a Free 5 Layer Double Wrap Burrito with purchase of a beverage. 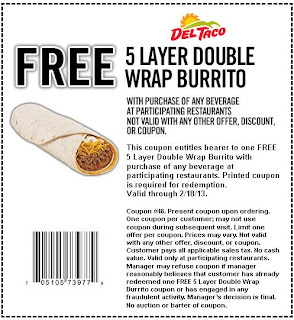 Print th coupon and take it to your nearest Del Taco. Valid Through 2/18/13.